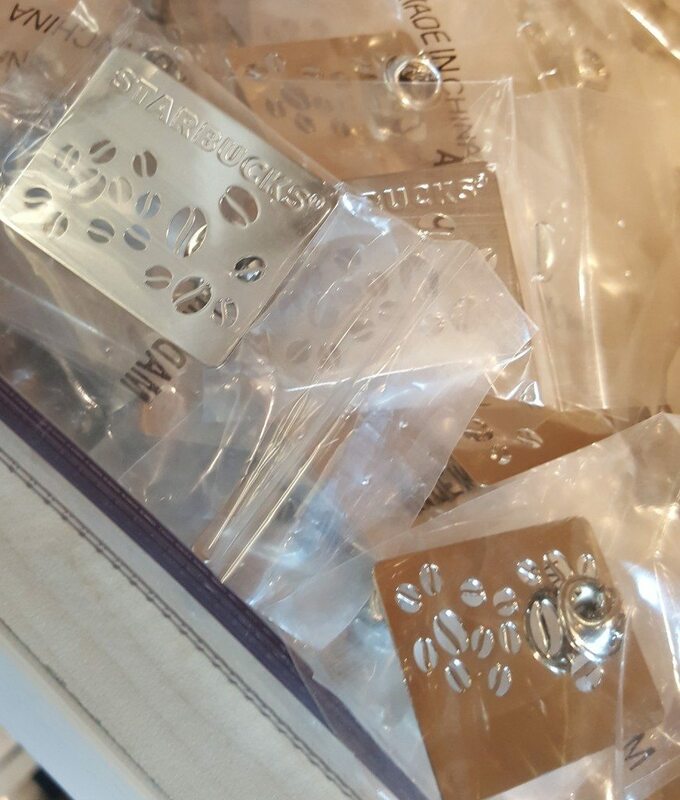 I dropped by the Starbucks Coffee Gear store on Friday, November 11, 2016. This is just a quick update to show off a few new things. 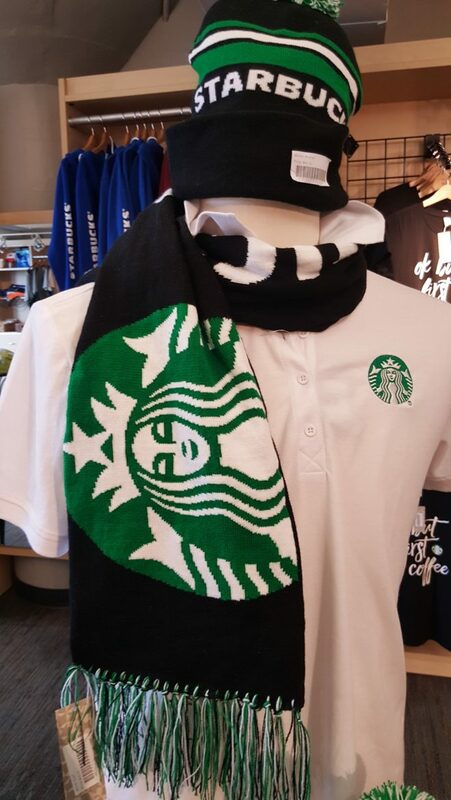 The Coffee Gear Store recently added a fun Starbucks scarf to their collection, matching the Starbucks beanie. 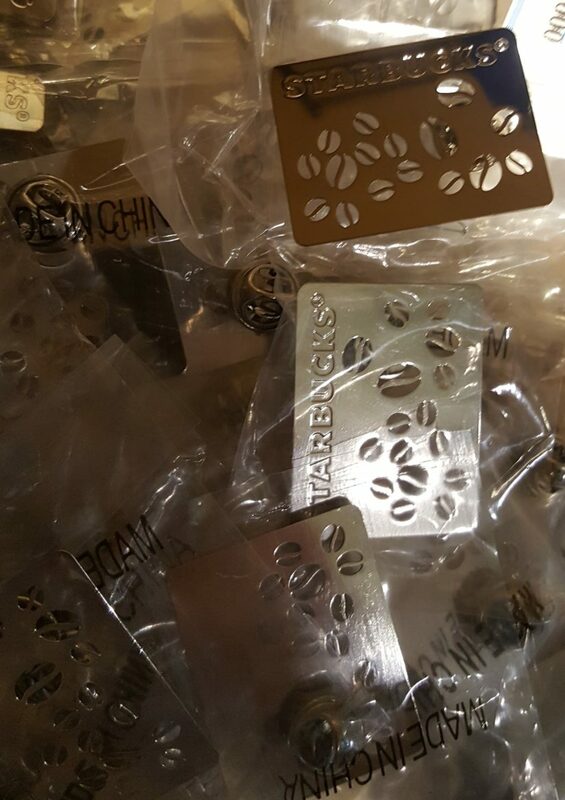 Also there are some new pins for your apron or just for fun! Be sure to go back and look at other Coffee Gear articles to see many more things offered at this unique store. This is a place where you’ll find Starbucks pencils, key chains, magnets, t-shirts and much more. First, you can go in person. Get yourself to 2401 Utah Avenue South, Eighth Floor, Seattle, Washington 98104. The Coffee Gear Store is open Monday through Friday, 8:30 AM to 4:30 PM. Anybody can shop in person! You don’t have to be a customer! If you are a partner, bring your partner card and let them know when you’re at the register so you can receive a partner discount. 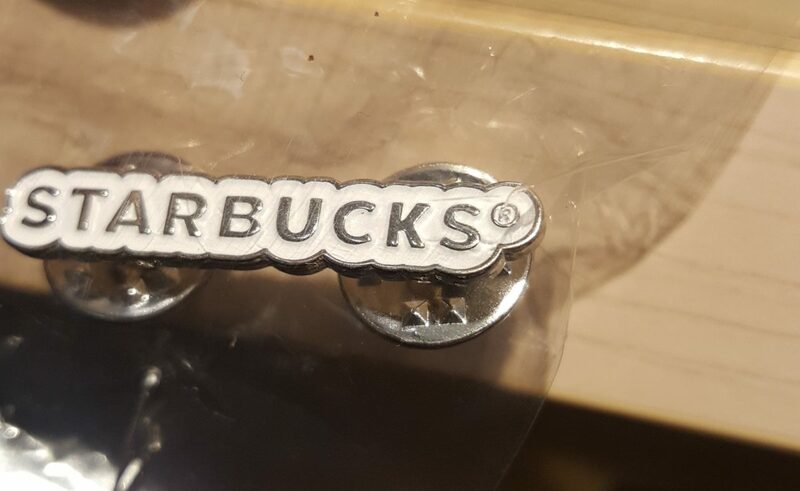 Secondly, if you are a partner (meaning you work for Starbucks) you can shop online at the Starbucks Coffee Gear Store online. You cannot shop online if you don’t work for Starbucks. As just an aside, I’d like to see the Coffee Gear Store be more of a ‘featured’ or visible store. Let me explain for a moment what I mean by that: I’m from California originally, and so over the years, I’ve taken many trips home to Orange County to visit family. Over the years, I’ve been to the Downtown Disney shopping area many times. “Downtown Disney” in Anaheim is a shopping area accessible without going to the actual parks. It even has its own parking area, making it incredibly easy just to swing by quickly. There are numerous stores from the Downtown Disney Starbucks, to an ESPN store, to restaurants, to lots and lots of Disney-themed gift shops. The variety of shops bring customers in droves. It wouldn’t be an attraction shopping area if it were just one single Disney restaurant. I swung by again in late September this year. There are now two company-operated Starbucks in the Downtown Disney shopping area. Starbucks could create a smaller version of “Downtown Disney” within the area near the Starbucks headquarters. There’s actually open to space to grow because two retailers near the Starbucks headquarters have recently moved out. All I’m saying is that I’m ready for “Downtown Starbucks” which would have a Reserve Starbucks with a nitro bar, the Coffee Gear store, and interesting museum type Starbucks exhibits, and possibly more. That’s my two cents. And yes, it is heavily influenced by my interest in Downtown Disney. I don’t think for a moment that Starbucks will listen to me and do that, but on my last trip to California, it hit me that this is a great idea (in my book). 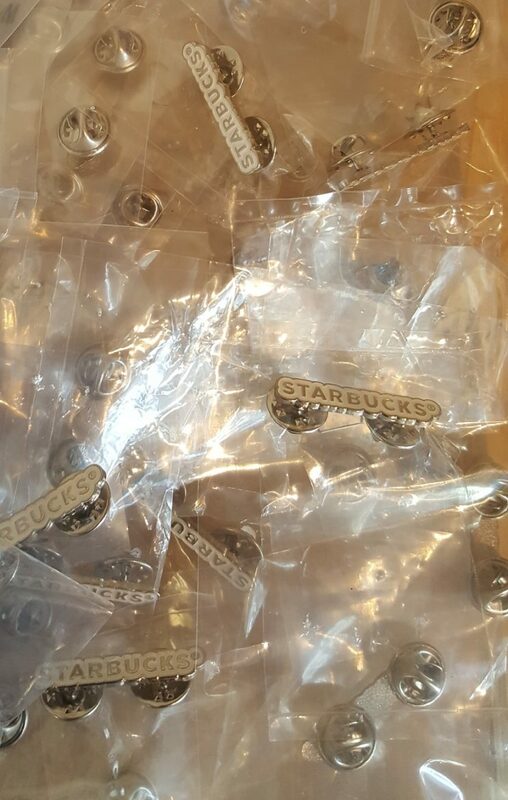 Customers are ready for “Downtown Starbucks”. 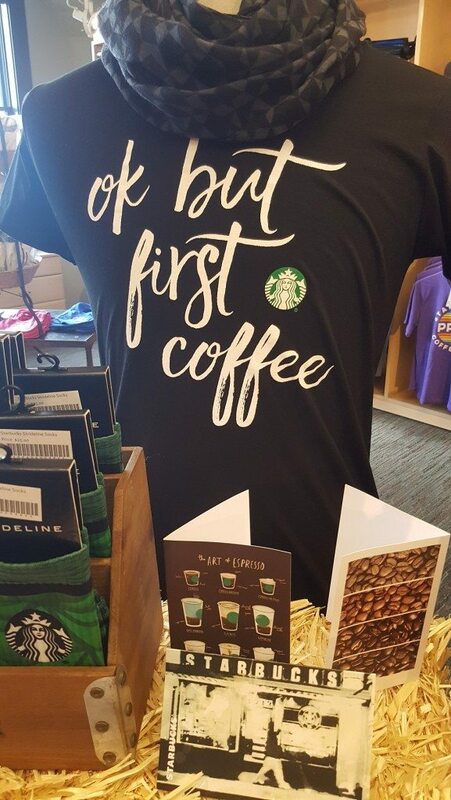 Get your 2017 Pride Starbucks t-shirt! The store will be moving to the first floor and the lobby store will be getting bigger. @Troy – Maybe Starbucks is taking a cue from Disney! 😀 Thank you for your comment! That’s a surprise!